Prime Minister Dr. the Honourable Timothy Harris extends his heartfelt condolences, and those of the Government and people of St. Kitts and Nevis, to the family and loved ones of Herman W. Liburd Esq., J.P., who was a former Speaker (1980-1985). The former Speaker, who was 78 years old, died on Friday, April 12th, 2019. He was born in Nevis on April 2nd, 1941. “Herman W. Liburd was a visionary who had a remarkable life history, having presided as Speaker during an extraordinary era in our country’s development,” Prime Minister Dr. the Honourable Timothy Harris said upon learning of his passing. 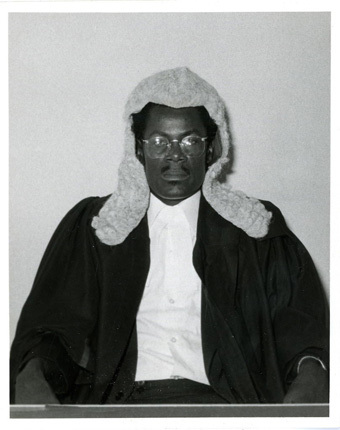 Herman Liburd first presided as Speaker at the opening of the new House of Assembly on March 20th, 1980 following the general election of February 18th, 1980. Herman Liburd was a founding member of the Nevis Historical and Conservation Society, which held its inaugural meeting on July 25th, 1980. He also served as President of the Nevis Cricket Association (1980-1982). Herman Liburd graduated from York University in Canada with a Bachelor of Science degree in Political Science in 1971, from the University of Toronto with a Master’s degree in Economics and Political Science in 1973, and from the Hugh Wooding Law School in Trinidad and Tobago with a Certificate of Legal Education in 1978. A former member of the Nevis Island Assembly (1992-1999), the late Herman Liburd worked in Nevis as Senior Partner at the law firm of Liburd & Dash, L.P. (2008-2018) and most recently as Partner at the law firm LiburdLaw, Attorneys at Law (2018-2019). The Prime Minister of St. Kitts and Nevis extends deepest sympathy to Herman Liburd’s daughter Krysta Liburd-Clarke, his son Steven Straker, his two brothers Dr. A. Linton Liburd and Claudius Liburd, and his five sisters Eleanor Dash, Rosalind Hai, Marilyn Liburd, Millicent Liburd and Yvonne Liburd.